Just like the interior of your home needs constant care and maintenance on a regular basis, so too does the exterior of your home. Gutters are very often forgotten, however regular weather changes, along with general wear affects the life of your gutters. The gutter guard may protect your gutter from debris getting collected, however it can’t protect your gutter from other damages, such as dents and holes that arise over a period of time. This is why it’s vital for you to inspect your gutter for any kind of damages, and repair them on a priority basis. A leaking roof gutter can slowly, but steadily affect the foundation of your home. B.S. Roofing Repairs - Professional gutter guard installers in Sydney provide quality gutter replacement and gutter installation services to Sydney’s western suburbs. Please Contact BS Roofing today to discuss your next residential and commercial gutter installation or replacement project. Facias will help you to take care of your home’s exterior. They will prevent your home from natural decay, and will assist with keeping condensation and dust away form your home’s interior. Fascia’s also assist with energy conservation. Fascias are a very important product for your home’s maintenance, however buying poor quality facia’s means that they will warp and crack within a short time frame. We supply only the best quality products, making sure that your fascia roof installation looks great and will last a long time. For more information on fascia roof gutter installation, Contact BS Roofing - Professional fascia roof gutter installers today to discuss your requirements. B.S. Roofing Repairs can also install downpipes. It is important to engage a reputable and professional roofing company for your downpipe installation. Using an industry expert will ensure that your pipes will be connected to all the relevant things, significantly reducing the likelihood of problems occurring in the future. We are fully qualified and insured downpipes insallters in Sydney . And with over 26 years industry experience, you will be 100% satisfied with the level of workmanship that you receive. For more information on downpipe installation, please Contact BS Roofing - Professional and insured downpipes installers today. We provide first class residential and commercial fascia gutter and downpipes installation services in Penrith, Blue Mountains, Windsor, Hills District, Sydney's Western Suburbs and the surrounding areas. 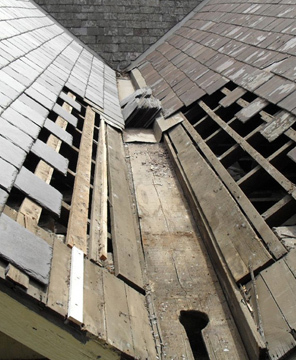 For expert advice on your gutter installation and gutter replacement project, Contact BS Roofing - licensed and insured roofing experts contractors, today to organise your free, no obligation quotation.